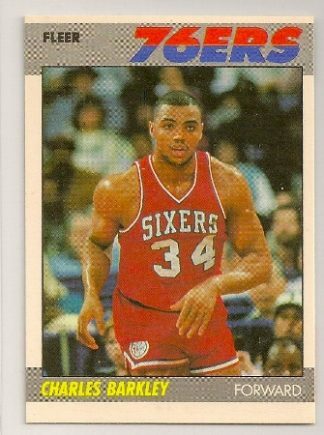 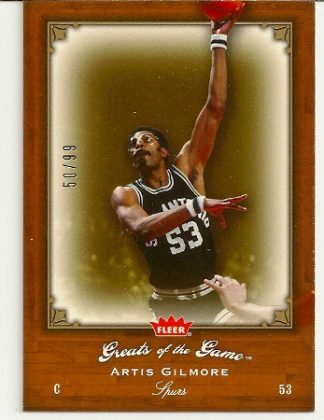 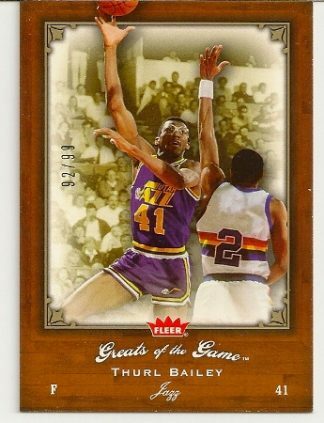 2005-06 Fleer Greats of The Game Artis Gilmore Insert Card Numbered To Only 99. Artis Gilmore 2005-06 Fleer Greats of The Game Insert Card /99. 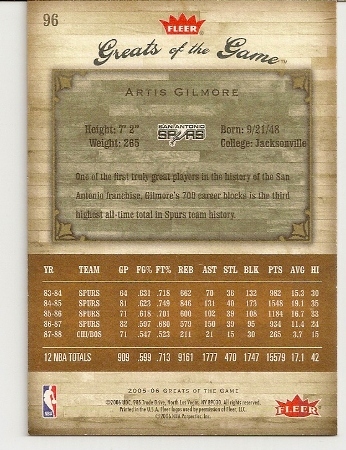 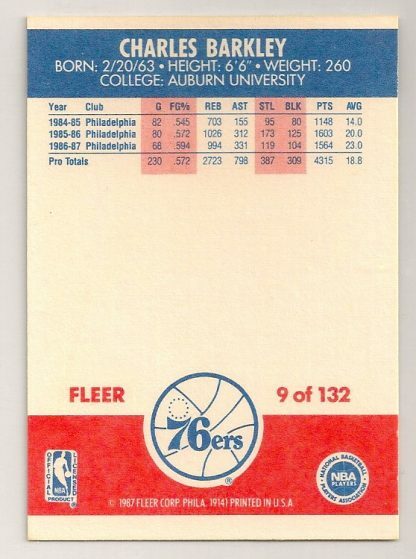 Up for sale here is a Artis Gilmore 2005-06 Fleer Greats of the Game insert card with a serial number of 50/99. 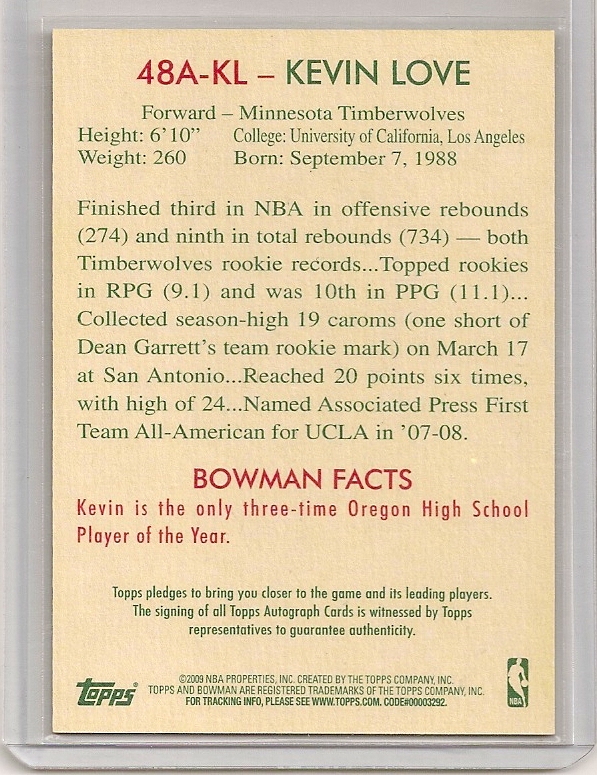 It is card #96 of the set. 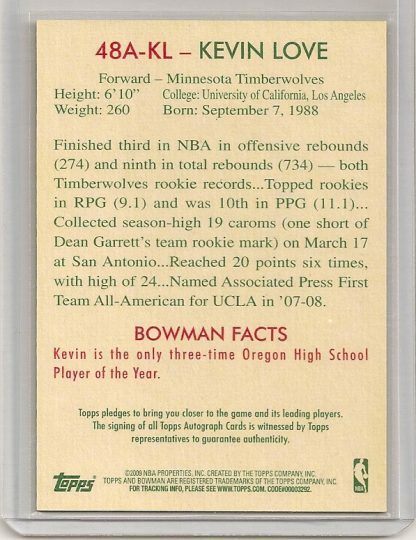 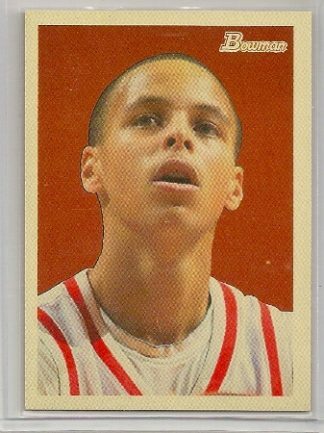 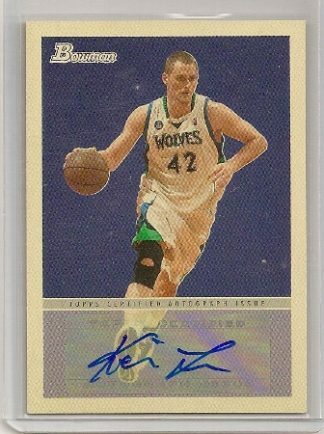 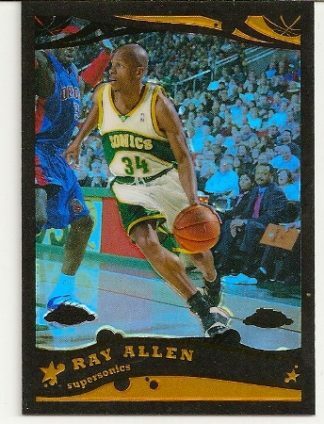 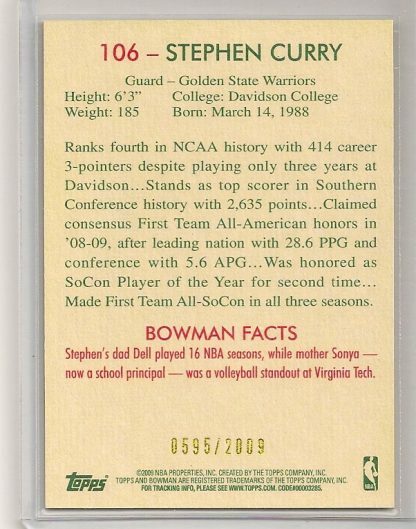 You can view the entire ’05-06 Fleer Greats checklist here.